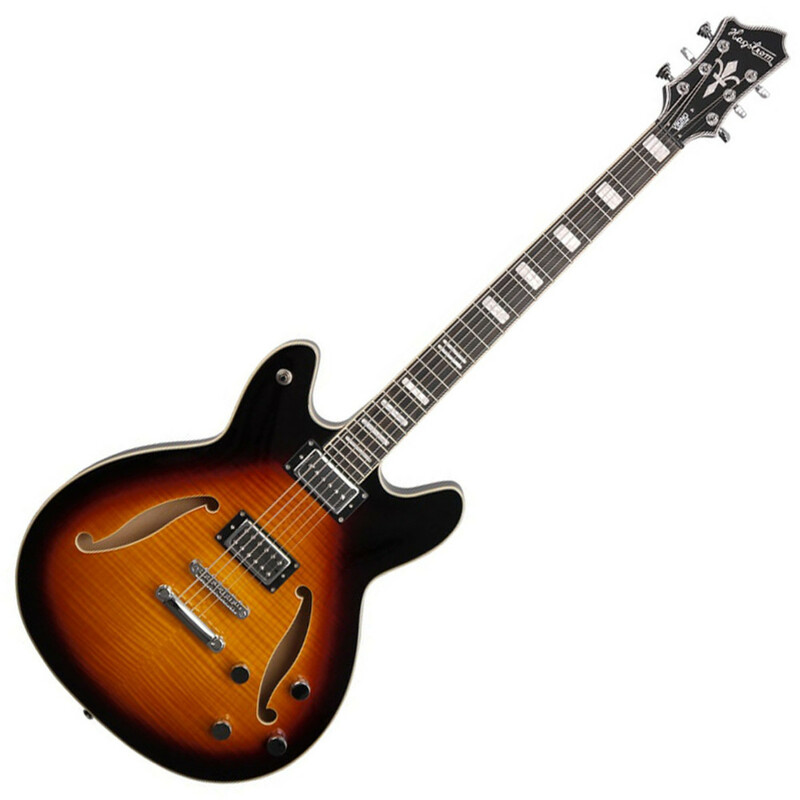 The Hagstrom Baritone features a semi-hollow Maple ply body, new custom Hagstrom 58'C Pickups and a Long Travel Tune-O-Matic w/ Hagstrom Stop Tail. 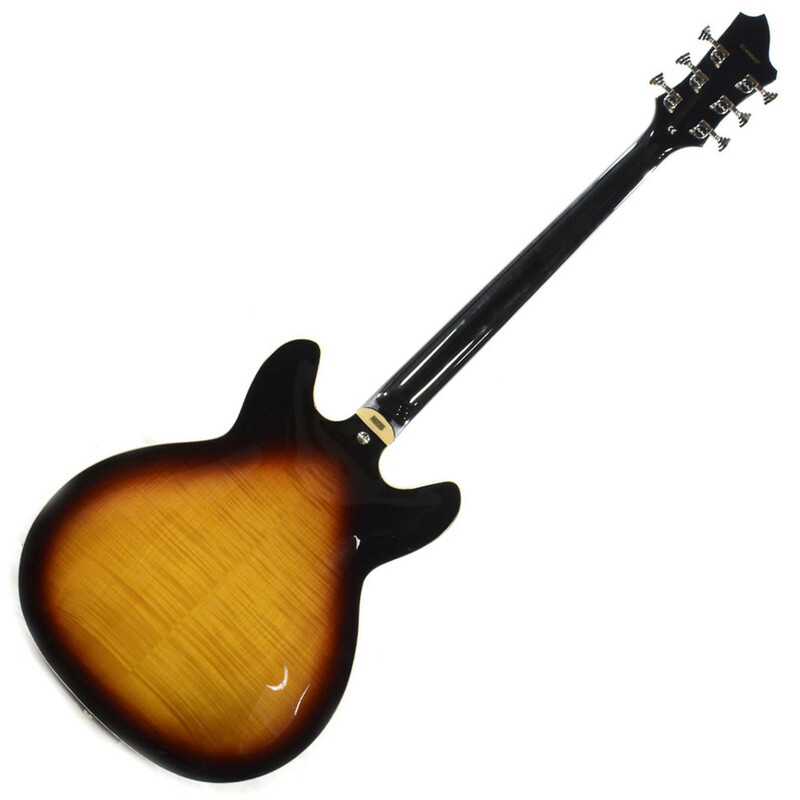 Unlike the traditional Baritone's, the 28'' scaled neck has just 22 frets instead of the more common 24 fret Baritone's making this guitar unique. The Hagstrom Viking range expands further with this Baritone. It has being specially designed to increase versatility, to produce a wider range of tones to cover a variety of music styles. With the two new Hagstrom pickups to compliment the variation of tones and with the Custom 58'C the lower frequencies are tighter and more controlled. From clean, recognisable and classic sounds from the 1960's to sounds from 70's and 80's to the modern day, the Viking Baritone is one of the most versatile guitars around. Even at high volumes using excessive gain, the Baritone offers the ability to control ''musical feedback'' thanks to the semi-hollow body.